You shouldn’t validate a banking solution by a banker, a layman should do a better job. Domain independent tests obtain user perspectives. Do it before customers report inconvenience. Web testing is the name given to software testing that focuses on web applications. Complete testing of a web-based system before going live can help address issues before the system is revealed to the public. Issues such as the security of the web application, the basic functionality of the site, its accessibility to handicapped users and fully able users, its ability to adapt to the multitude of desktops, devices, and operating systems, as well as readiness for expected traffic and number of users and the ability to survive a massive spike in user traffic, both of which are related to load testing. 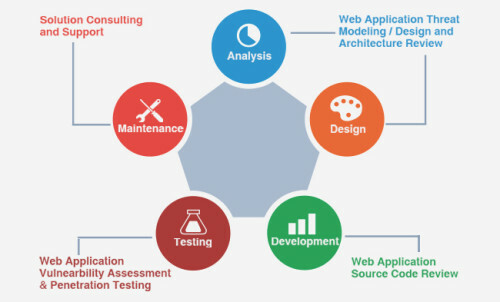 Vigopa has rich experience in Web Application Testing and Website Testing services. Vigopa Solutions has tested and delivered various websites and web based applications. We provide daily test report for our client which will help them to stay updated about the project progress. We have team of highly experienced test engineers. WebLOAD: Webload is an enterprise-scale load testing tool which features powerful scripting capabilities, so you can test complex scenarios. WebLOAD supports hundreds of technologies – from Selenium to mobile, web protocols to enterprise applications and much more. Apache JMeter: It is an Apache Open source load testing tool, written in Java 6+ and supports all platforms. Recently, Apache released the stable version of JMeter “v2.11” that supports all platforms. NeoLoad: It is a Neotys load and stress testing tool for Windows, Linux, and Solaris, available in English and French with the latest version 4.2, designed to measure, analyze and improve the performance of the website. LoadRunner: It is a load testing tool for Windows and Linux, given by HP to test the web and other applications very efficiently before it goes to end user hands. It is available in stable version 12.0 in many languages. LoadUI: A load testing tool “LoadUI” latest version is 2.7, written in Java, JaveFX, and Groovy language, and supports all platforms. Mostly, support web services and SopaUI 5.0 (functional testing tool). Loadster: A commercial load testing tool to test websites, web applications/services (HTTP web services) and to simulate and guess how web applications will perform under heavy load, given by Loadster, supports Linux, Mac, and Windows. Telerik Test Studio: A software testing tool is to test web and desktop applications of all Windows OS, developed by Telerik. It tests the functionality, performance, and load of web, desktop, and mobile applications. Qtest: A web load testing tool analyses the application completely and accurately, given by Quotium Technologies SA, supports all Windows platforms. Wapt: Provides an easy and cheapest way to test websites, like; business applications websites, mobile websites, web portals, etc. Testing requires 500MB of free disc space, browsers (Microsoft IE 6 or higher, Firefox 3.0 or higher, and Google Chrome), and OS of 64 bit version. Selenium- Selenium is one of the most popular automated testing suite. Selenium is designed in a way to support and encourage automation testing of functional aspects of web based applications and a wide range of browsers and platforms. Katalon Studio- A complete web and mobile automation tool that enhance the capabilities of Selenium and Appium, Katalon Studio is packed with many essential features, including: Object Spy, Record & Playback, Cross browser execution, JIRA integration, Keyword-Driven Testing, Data-Driven Testing, and Web Service Testing while remaining a free solution. TestCafe v14.1.3- It is a DevExpress web testing framework to test all web applications of Windows, Mac, and Linux OS. Ranorex Studio- A Windows based GUI testing tool to test the desktop, web and mobile based applications and to handle any kind of modern and dynamic GUI application, given by Ranorex GmbH. Sikuli- Sikuli is a technology born in MIT UI Design group that allows to automate computer operations using computer vision. Computer vision recognizes patterns from screenshots of graphical user interfaces (GUI) and Jython script language is used to take actions on them. QTP- QTP (Quick Test Professional) a Windows based software testing tool used to test the applications on the web or desktop, best for“Functional” and “Regression” testing, given by Hewlett Packard (HP). EggPlant Functional- EggPlant Functional helps you test your applications better, faster, and with less effort by automating the execution of your functional testing. iMacros- iMacros is an extension for the Mozilla Firefox, Google Chrome and Internet Explorer web browsers which adds record and replay functionality similar to that found in web testing and form filler software. QF-Test- QF-Test from Quality First Software is a cross-platform software tool for the GUI test automation specialized on Java/Swing, SWT, Eclipse plug-ins and RCP applications, Java applets, Java Web Start, ULC and cross-browser test automation of static and dynamic web-based applications (HTML and AJAX frameworks like ExtJS, GWT, GXT, RAP, Qooxdoo, RichFaces, Vaadin, PrimeFaces, ICEfaces and ZK). Watir( Web Application Testing in Ruby)- An open-source (BSD) cross-platform web application testing tool, pronounced as water. Watin (Web Application Testing in .Net)- A cross-platform web application testing tool, latest version is 2.1, and developed in C# language. Due to the influence of Watir, Watin tested a web application written in .Net in December 2005. Copyright 2018 © Vigopa Solutions Pvt. Ltd. All rights reserved.